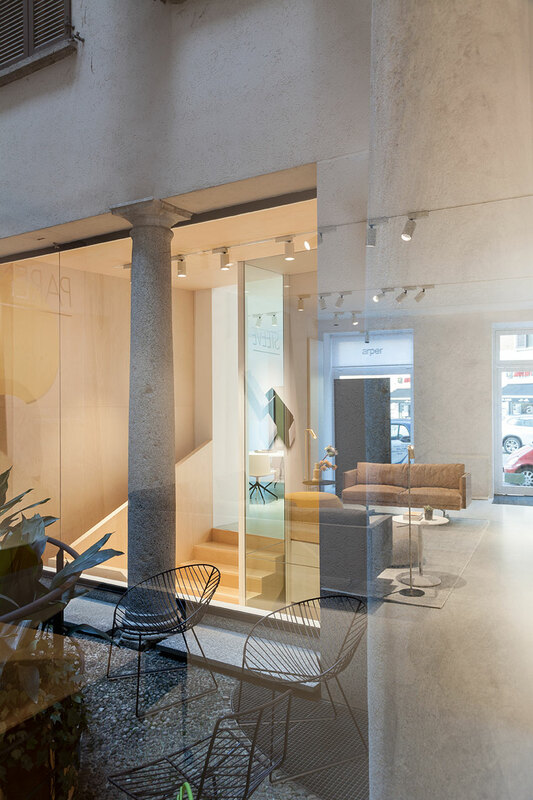 The Milan context is caracterized by refinement and luxury of the fashion and design business. 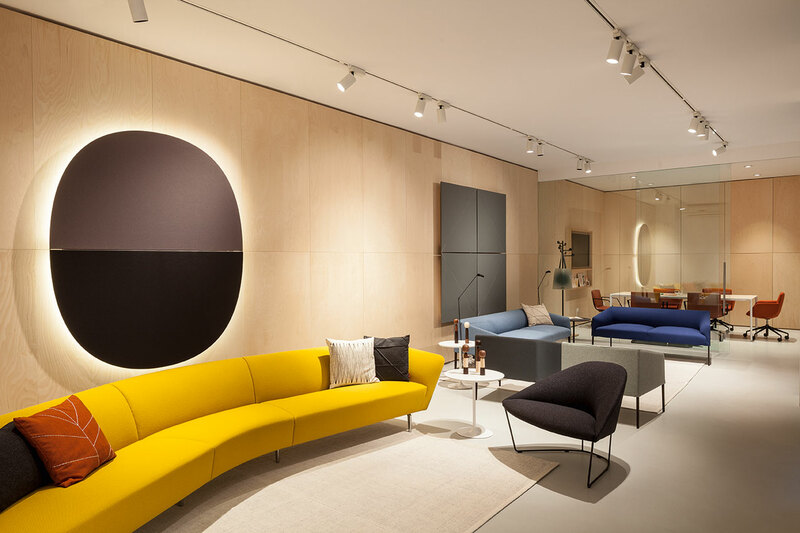 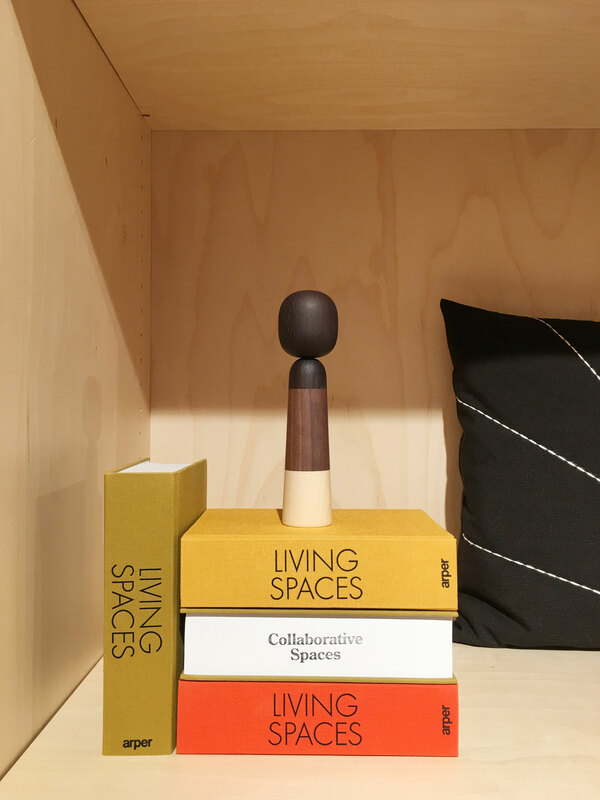 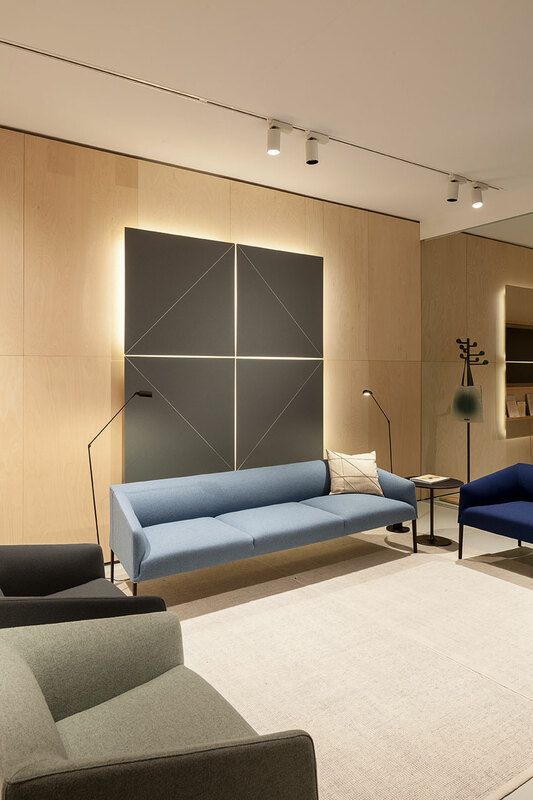 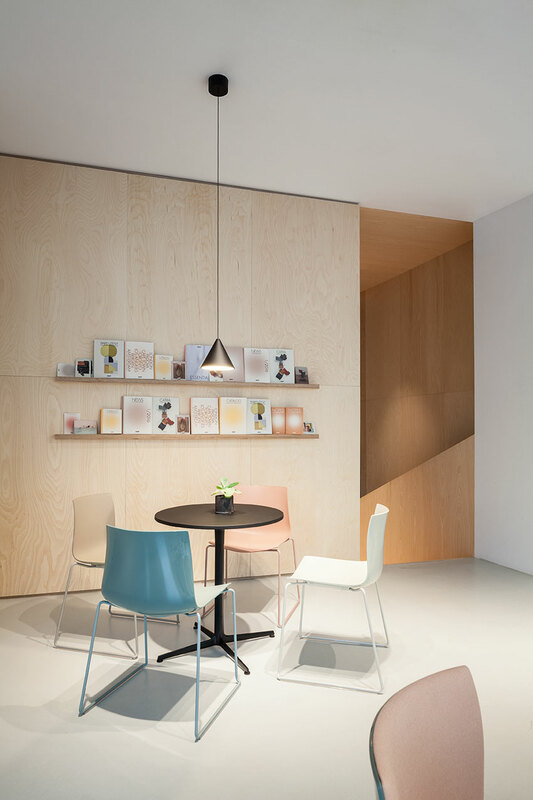 Arper showrooms responds to this context with a project that is refined, contemporary, and relaxed at the same time. 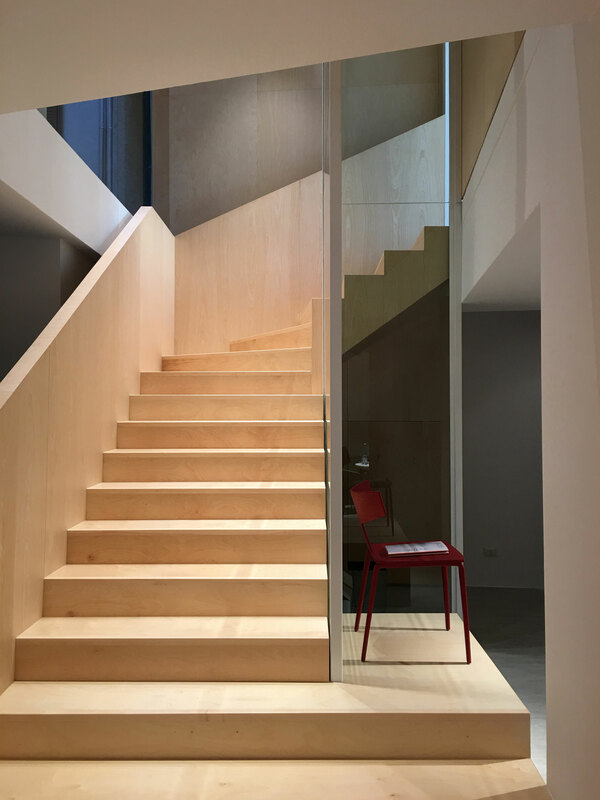 Thus we sought to take advantage of plywood as a contemporary expression of a warm material in the project. 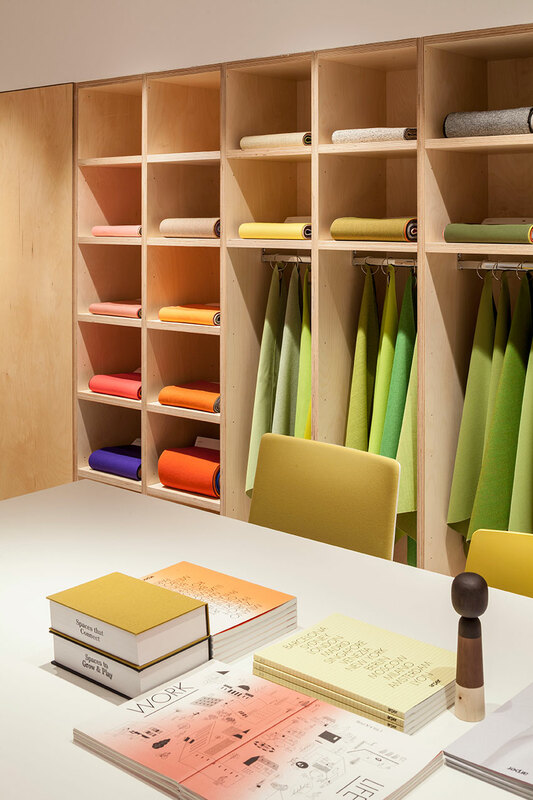 It creates a sense of continuity between the different areas of the showroom, thus expressing a coherent vision. 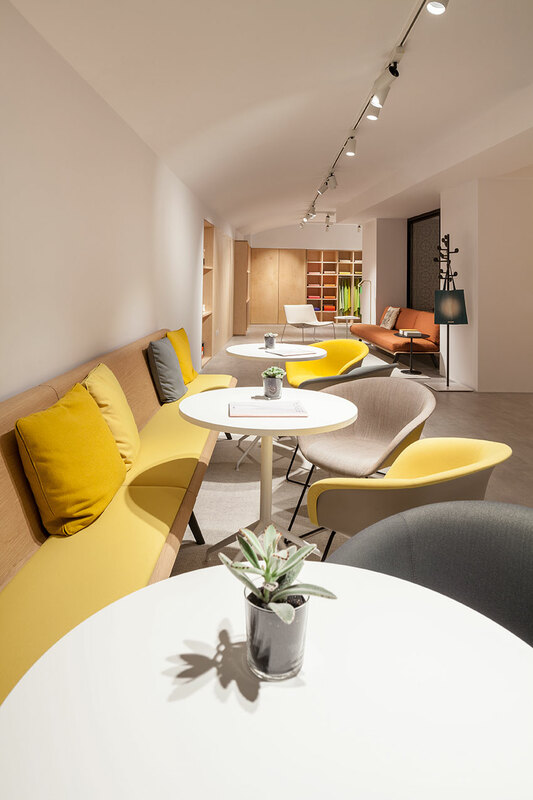 It connects the reception where visitors are received, with the back areas of the showroom housing the workspaces and meeting rooms, which then lead to the basement floor dedicated to design activities, experiments, and meetings with architects.